OK, that was definitely a lie but when the incentive looks this good, you sort of have to indulge. 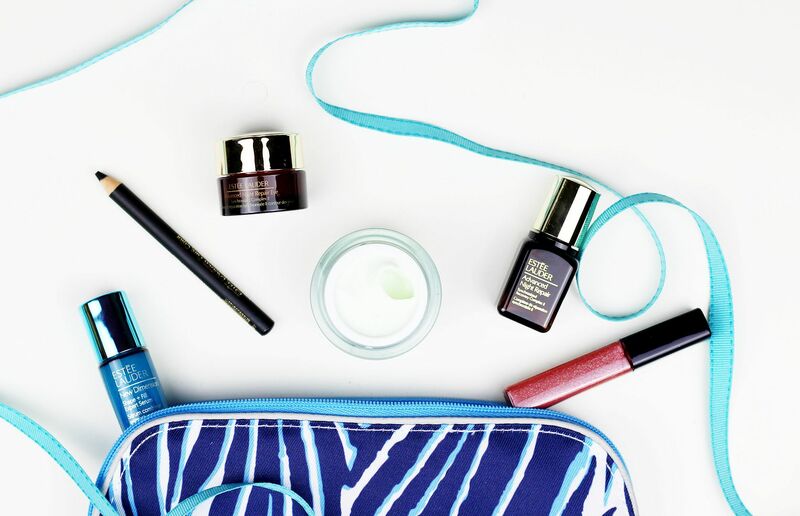 Just in time for a weekend full of shopping, House of Fraser is offering this Estee Lauder Gift With Purchase, and it’s packed full of deluxe samples of all the good stuff. I remember when my mum had a similar GWP when I was 13, and I thought it was the absolute best thing ever… mini lipsticks and moisturisers! In this particular promotion, you get a mini intense kajal liner, take it away makeup remover, daywear advanced cream, advanced night repair, advanced night repair eye cream, pure colour envy sculpting gloss and new dimension serum. All you have to do is buy two products – I would recommend the doublewear foundation and the pure colour envy matte lipsticks.